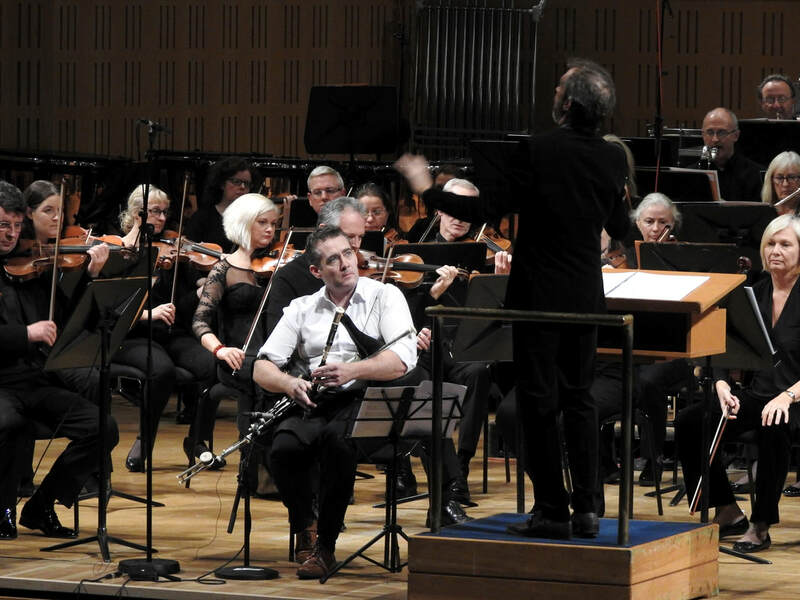 David performing Kevin Volans new concerto for uilleann pipes and large orchestra at the National Concert Hall, 22nd September 2018. 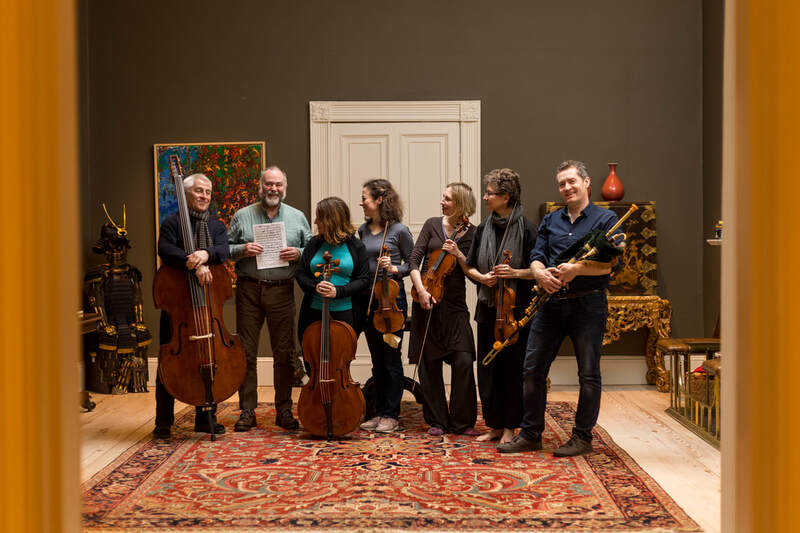 After The Beast From The East  forced New Music Dublin to cancel their Festival in March, I`m delighted to announce that New Music Dublin: Defrosted will take place in September 2018 and we will have the opportunity to perform the world premiere of Kevin Volan`s new concerto for uilleann pipes on Sat 22nd in the National Concert Hall. Continental Drift; In this truly continent-crossing concert, two celebrated contemporary composers Unsuk Chin (South Korea) and Kevin Volans (Ireland and South Africa) - have each created new works to shine a light on the virtuosity of two extraordinary musicians with whom they have both worked extremely closely. Wu Wei (China) and David Power (Ireland) are masters of two of the world’s most ancient instruments - the former the Chinese Sheng, and the latter Ireland’s very own Uilleann Pipes - and they bring this tradition and expertise to weave into two radical scores for soloist and orchestra. The RTÉ National Symphony Orchestra perform Unsuk Chin’s Šu - for Sheng and Orchestra, and the world premiere of Kevin Volans’ Gol Na mBan San Ár - for Uilleann Pipes and Orchestra. 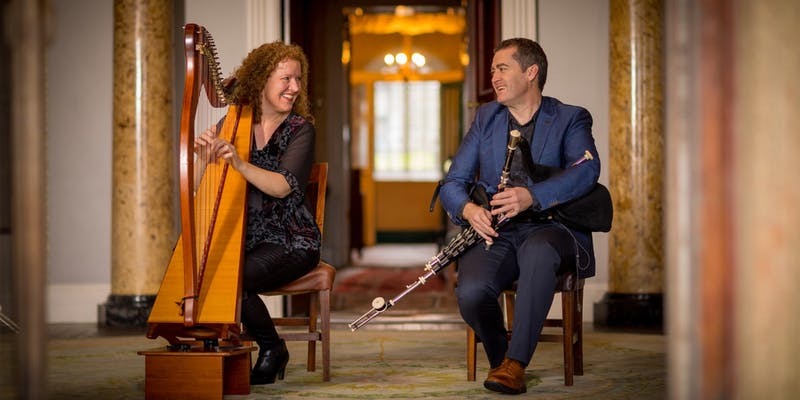 Introduced by Olivia O'Leary, acclaimed journalist and presenter of RTÉ Radio 1's Poetry Programme master uilleann piper David Power will join poets Kerry Hardie and Pat Boran in Emo Court, one of architect James Gandon's neo-classical masterpieces. Produced by Poetry Ireland in partnership with the OPW. The Clonmel Junction Arts Festival is presenting the world premiere of my new show `Buile Shuibhne`​. ​With the gratefully acknowledged support of the Arts Council, this work was commissioned by me and composed by New York-based composer Dana Lyn for string quartet and uilleann pipes. Actor Barry McGovern will read excerpts from a translation of the ancient story. It`s hero, Mad King Sweeney, undergoes a series of purgatorial adventures after he is cursed by a priest at the Battle of Moira. The story of the mad king, exiled to the trees and the slopes, is among the most appealing in the whole canon of Gaelic literature. Dana also kindly arranged traditional Irish pieces for uilleann pipes and the string quartet. These will be featured in the show also. Launch of new CD The Piper and the Fairy Queen at the opening concert at The Galway Early Music Festival in partnership with Music for Galway. Filmed during the recording of our new CD The Piper and the Fairy Queen. Soon to be released on the Lyric fm label. Willie Kelly and I will be travelling to new destinations through the mid western USA in April/May 2018. Details here. On March 2nd - World Premiere of Kevin Volans, Gol na mBan San Ar, The Lament of the Women at the Slaughter, Concerto for Uilleann Pipes & Orchestra . Commissioned by RTE for the National Symphony Orchestra and master piper, David Power. 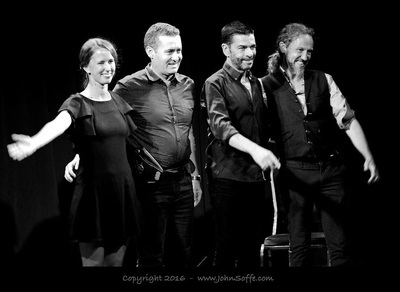 It will be performed at the National Concert Hall, Dublin during the the New Music Dublin Festival. We just need to raise €2000 to get us over the line. Fund it Campaign link here. Another chance to hear `To Find a Heathen Place and Sound a Bell` by Kerry Hardie & Olivia O` Leary. Barry Mc Govern plays Columbanus, Eamon Hunt Comgall, Alan Counhihan is Fiachra and Olivia O` Leary plays The Mother of Columbanus. The music was composed by David Power and performed by David Power and Ciaran Somers. The Director was Sean Hardie and Produced by Kevin Reynolds. I will be performing alongside Triona Marshall and Olivia O`Leary for Culture Night in Dublin Castle. Live broadcast on RTE Radio 1, Arena at 7pm. World Premier of ANTARCTICA at Kilkenny Arts Festival. 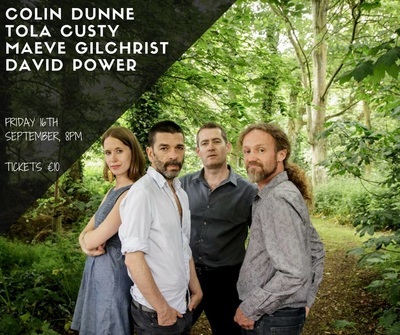 In last year's Festival, electronic composer Linda Buckley and uilleann piper David Power presented Uilleann Goes Electric, the first fruits of a groundbreaking new collaboration which culminates, this year, in this staged performance. Drawing inspiration from the early Antarctic expeditions, Antarctica is a multimedia performance combining Buckley’s hypnotic electronic score with live uilleann pipes from David Power in an environment of evocative projected imagery. Designed and directed by John Comiskey, and staged in the atmospheric interior of The Brewhouse (formerly Smithwick's brewery), Antarctica stages an enthralling dialogue between past and future. There are 2 performances 6pm & 8:30pm. 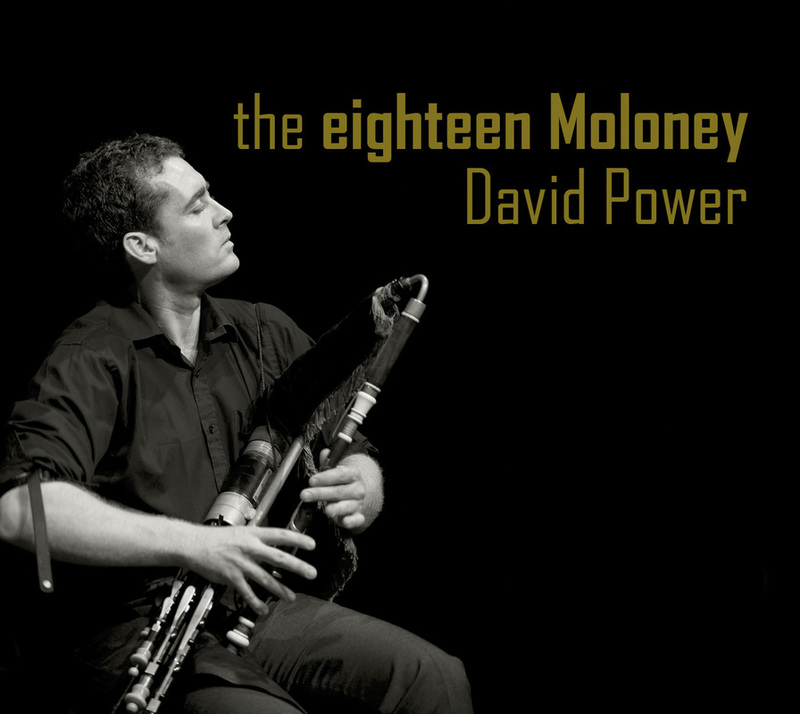 Uilleann piper David Power (below) and harpsichordist and organist Malcolm Proud have become a musical item. Their collaborations cross the musical divide between classical and traditional, with the pipes even venturing into Mozart and Kevin Volans’s arrangement of the South African childen’s song Umzi watsha (The House is Burning). Power and Proud will be performing at St Michael’s Church, Dún Laoghaire on Sunday, August 6th, and at St Canice’s Cathedral during Kilkenny Arts Festival on Monday, August 19th. But they can be heard before then in the Church of the Assumption in Tullamore. The church was destroyed by fire in 1983, rebuilt in 1986, and its 1965 Frobenius organ came as a generous gift from the Vor Frue Kirke in Copenhagen (the Danish capital’s Evangelical-Lutheran cathedral) when that church acquired a new organ. It was installed in Tullamore in 1995. I`m looking forward to performing up at the spiritual site of the Mahon Falls with the legendary voice of Ireland and Poet Olivia O`Leary and with the wonderful harpist Triona Marshall. Opening night of the Comeraghs Wild Festival. Edges of Light performed 3 sell out concerts in Irish Arts Centre New York . The show was featured in the New York Times, The New Yorker and Timeout. The New York Times came to the show and wrote a review. Read it here. After working on material for the last few months, I'm very pleased to be performing with the wonderful Organist Malcolm Proud, a mixed programme of early music, traditional Irish pieces and contemporary arrangements by composers Leclair, Purcell, Byrd, Mozart, O'Carolan, Keating-Hyland, Handel, with new arrangements by Kevin Volans and Peadar O'Riada - First stop St. Paul's Anglican Church, Athens, Greece. Words in the Air : A lunchtime recital with poet Clodagh Beresford Dunne and uilleann piper David Power celebrating Poetry Day, Ireland. Edges Of Light in association with Music Network will appear at the Irish Arts Center New York on the 1st, 2nd and 3rd of June 2017. 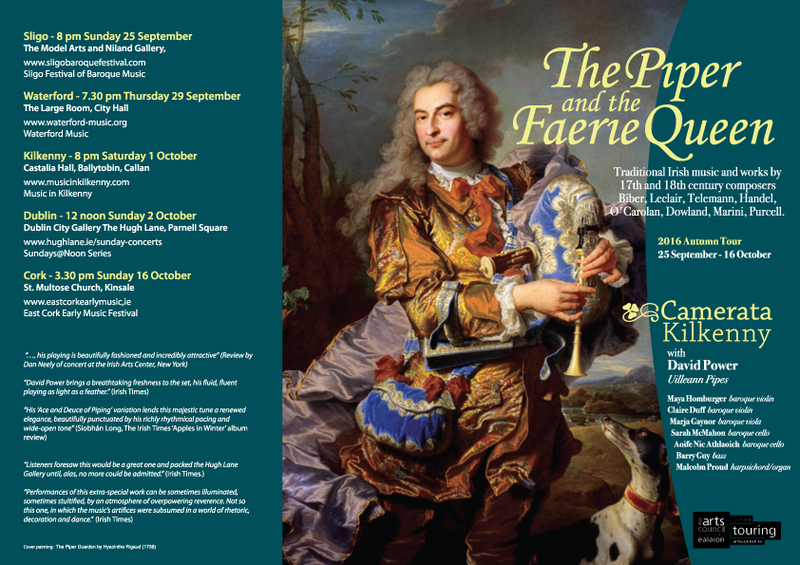 Following from the sucess of the 'Piper and the Faerie Queen' concert series with Camerata Kilkenny, Organist Malcolm Proud and I are taking part in a number of organ recital series. Details here. I'll be teaching a group of piping students for Music Generation Portlaoise 4th - 6th of November. I'm making my way to Armagh for the William Kennedy Piping Festival, 18th - 20th of November. Listen to Malcolm Proud describe the show HERE. Read Review of the show. 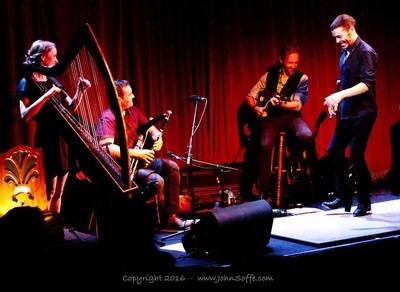 - at the Set Theatre, in a concert commemorating the 1916 Rising,`Love, Loss & Rebellion`, with Dennis Cahill, Martin Hayes, Maighread and Triona Ni Dhomhnaill. - At St. Canices Cathedral with American legends Ricky Skaggs and his wife Sharon White. - At the Parade Tower - Composer Linda Buckley and I explain what inspires us to work together and offer glimpses of an exciting new work that will debut in 2017. Listen to David on Arena RTE Radio 1 talking about his new work. `Apples in Winter` a new CD of Traditional Irish music on fiddle and uilleann pipes by David and Willie Kelly is on sale now. David worked with flute-player Ciaran Somers to create a sound-scape for " To Find a Heathen Place and Sound a Bell". Written by poet and novelist Kerrie Hardie, with Broadcaster Olivia O` Leary, and performed by musicians David Power and Ciaran Somers and readers Barry Mc Govern, Olivia O`Leary, Alan Counihan and Eamonn Hunt, this unique and poetic work resurrects the forgotten story of Columbanus, a saint of the early Celtic Church and arguably one of the most consequential figures in European history. David will do a series of solo Uilleann piping concerts in the USA. RTE radio 1, The Rolling Wave , featuring David`s new cd `the eighteen Moloney`.